60 inches long. Made of plastic. These are costume accessory bullets intended for decorative purposes only. 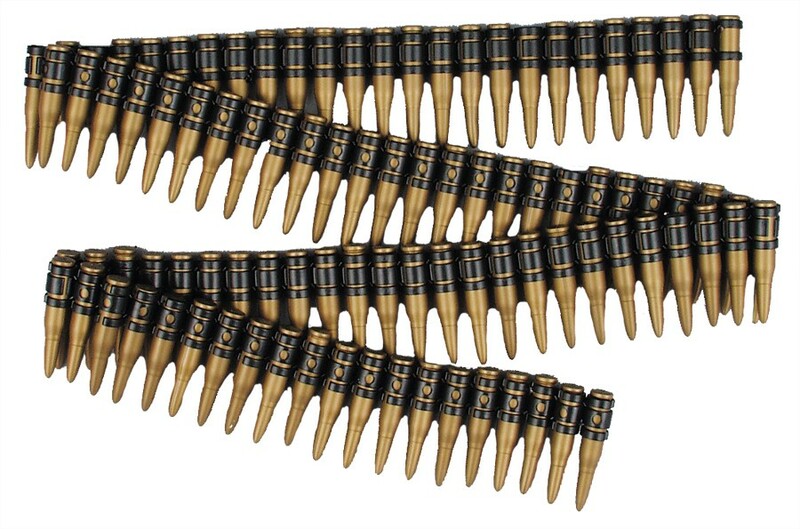 Please note these bullet belts are fragile and can break easily.